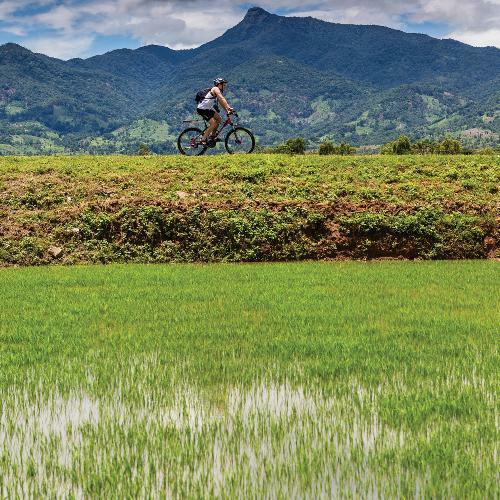 A journey by bike provides the ultimate immersion into the landscapes and culture of a country. The simple pace of cycling lends itself to meeting the locals, accessing remote monasteries and experiencing the exhilaration of freewheeling in vast valleys. Whether you’re a first timer or an experienced cyclist, our cycling holidays open up a world of adventure and self discovery. 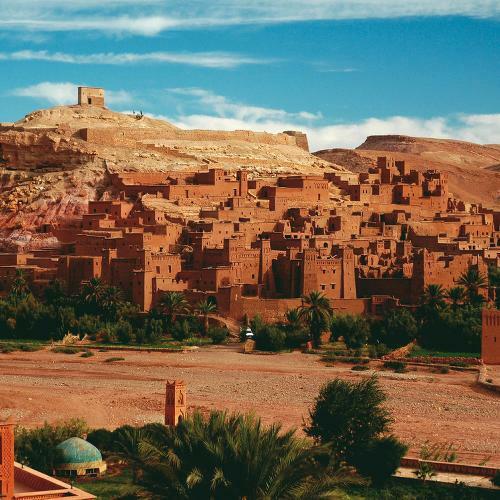 From gentle two wheel adventures through the Loire Valley in France to a challenging traverse of the High Atlas mountains in Morocco, we offer a range of exciting and memorable bike tours that are each fully supported and all at exceptional value. We pioneered the first commercial cycle tours ever in India and China in 1978 and have evolved to provide you with some of the most unique and memorable bike tours that take you away from the highway and into the hills. Whether you’re interested in exploring the hidden cultures of Vietnam by bike, embarking on a thrilling downhill adventure by cycling through the Andes in Peru, discovering the wilds of Kenya and Tanzania at handlebar level, cycling the mountain passes of the Western Cape in South Africa, biking through the Napa Valley in the US, pedalling across Europe on a self-guided tour, or riding through the lush, prehistoric landscape of New Zealand, rest assured each adventure will evoke a special sense of discovery with a hint of daredevil thrown in. Our easy-to-challenging grading system helps you choose a cycling tour that is perfect for your fitness level. 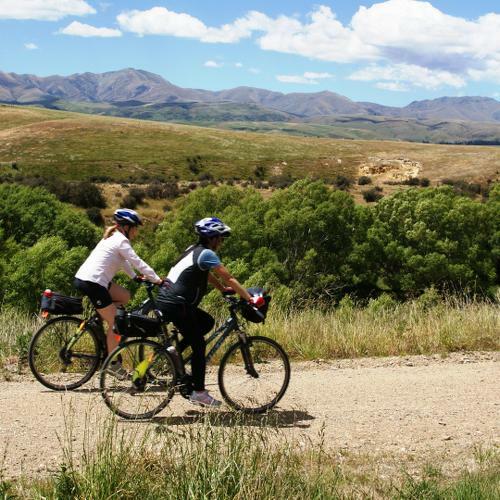 Opt to travel by mountain bike, guided road bike, self-guided, or mix it up with walking and/or a water based activity on a multi-activity adventure. Our high quality accommodation will ensure you get enough rest to recuperate and get back on your bike day after day. Unlike other providers, we include the cost of your meals, accommodation and transport so there are no surprises while you’re away. On most of our trips we also include the use of a purpose speed bike (21-27 gears). Our guided cycle tours include use of a backup vehicle and air-conditioned passenger vehicle so you can cycle at your own pace. On a self-guided trip, the thrill is being left to your own devices, equipped with an emergency assistance number should the need arise. Whilst preparation is encouraged in the months leading up to your cycling adventure, it will all be worthwhile in the end as you cycle along stunning landscapes, create unforgettable memories, and make some treasured friends. World Expeditions has over 40 years of experience operating authentic and unique adventure holidays with a genuine focus on the paths less travelled. We’ve meticulously crafted our cycling itineraries to give you an insight that just isn’t possible with any other means of travel – putting you in the driver’s seat and delivering a truly authentic travel experience. While our expert guides help you to discover hidden markets and restaurants in the towns you pass through, you will be accommodated in a superb range of hotels, homestays and lodges, all chosen for their ambience and location. Bike hire is included in your tour cost for the majority of our adventures, and all bikes are sized and fitted to suit you. Additionally, most of the World Expeditions cycling holidays are fully supported with back up vehicles and a bike mechanic, giving you total peace of mind. Myanmar trekking, cycling, kayaking & cultural activities: guide Min Thiha Kyaw loves the variety of World Expeditions trips. Meet our Myanmar travel guide. Between 20 and 60kms a day depending on the terrain, few steep ascents. Between 30 to 80 kms depending on the terrain and may involve some steeper ascents which can be avoided by using the support vehicle. Designed for stronger riders who prefer longer distances and good climbs with distances ranging between 50 to 120kms per day depending on the terrain. Suggested preparation: We recommend 30 minutes of aerobic exercise three times a week. Road cycling twice a week for three months prior to departure is recommended. Suggested preparation: We recommend 45 minutes of aerobic type exercise three times a week, from a minimum of three months period to your departure. Road cycling twice a week should also be part of your training. Suggested preparation: We recommend 45-60 minutes of aerobic type exercise, three to four times a week. Road cycling twice a week should also be part of your training. Suggested preparation: We recommend one hour of aerobic type exercise, four times a week. Road cycling twice a week should also be part of your training. Suggested preparation: We recommend one hour of aerobic type exercise, four times a week. Solid preparation is essential in the months leading up to your departure. Regular biking (four to five times a week) for at least one to four hours, with as many hills as possible, will well prepare you for the trip. It will also allow you to familiarise yourself with your bike, your personal clothing and equipment, and your preferences for fluid and food intake whilst exercising. You can also combine biking with other aerobic exercise such as running, swimming or gym work for variety. Consistency is the key, so that you build aerobic fitness, leg strength and stamina.